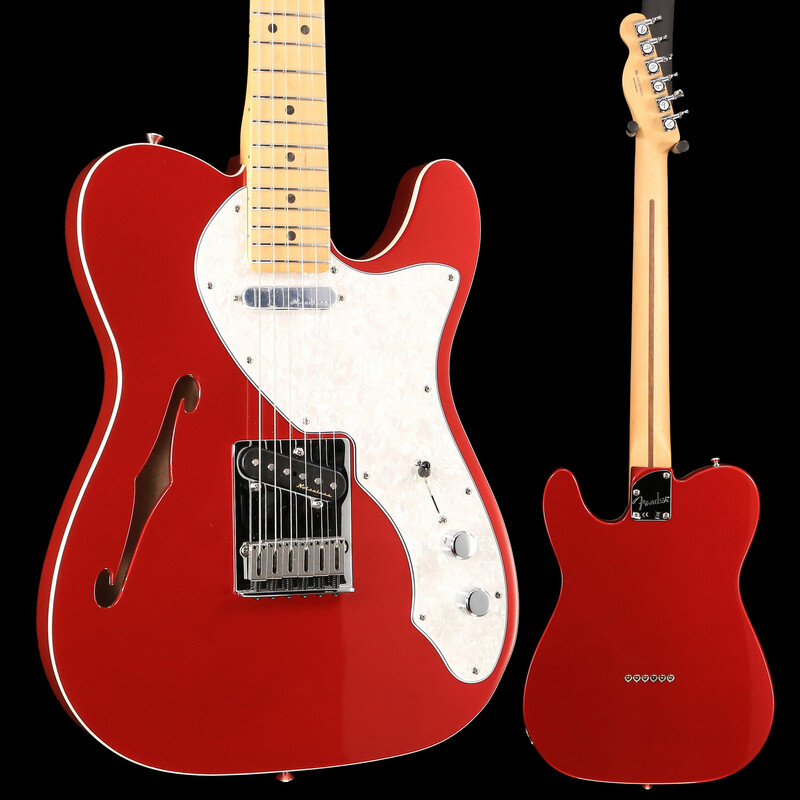 $899.99 This may be in stock for quick delivery; please call! 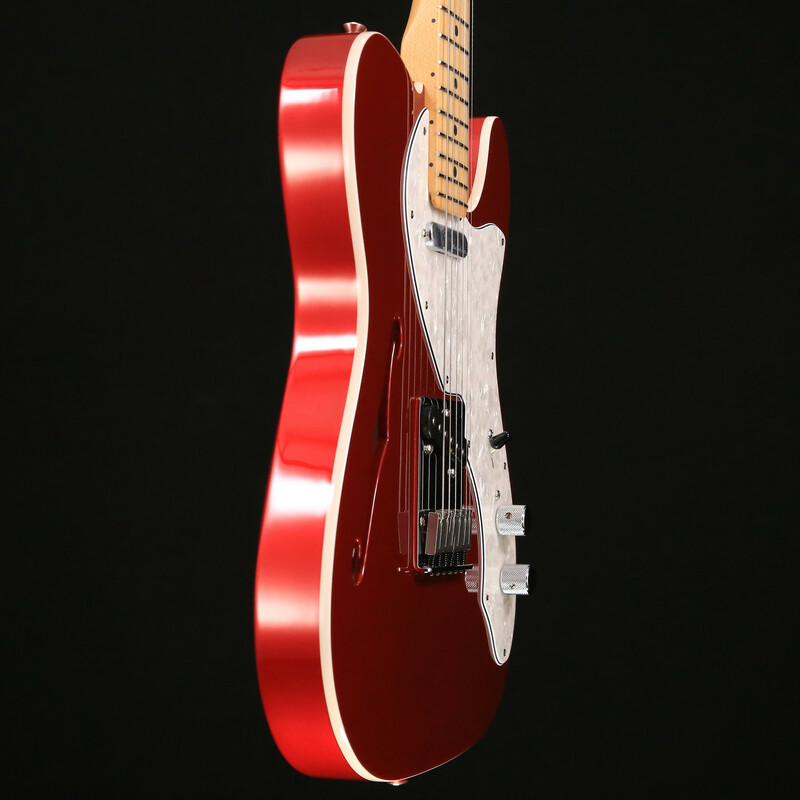 Light in weight, but not sound, the Deluxe Telecaster Thinline is crafted with timelessly elegant style and authentic Fender tone. 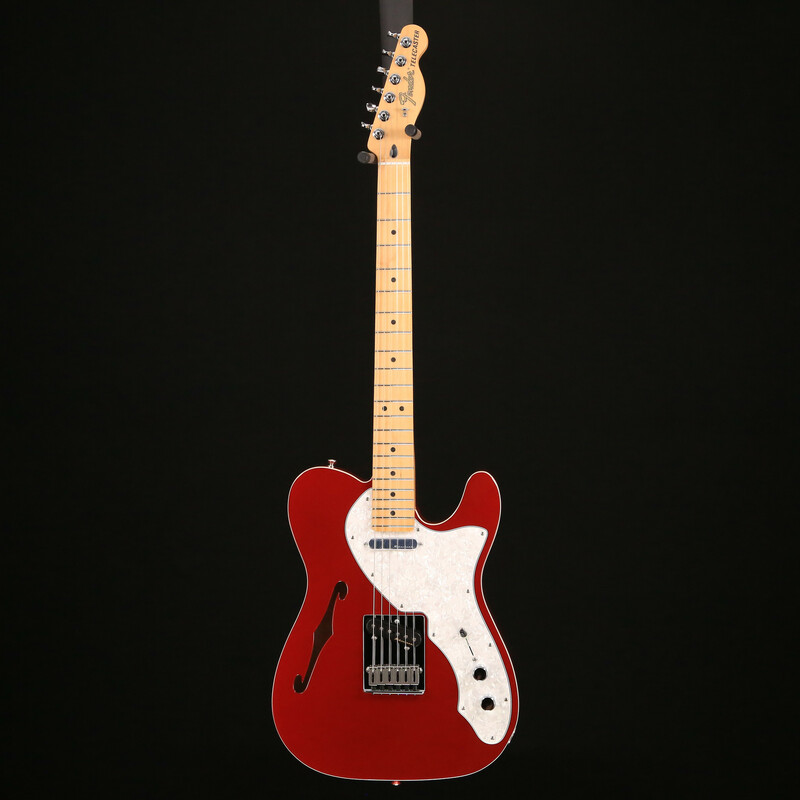 Crisp and articulate, with a versatile voice that cuts through a busy mix, this stage-tested design is the ideal combination of modern features and traditional aesthetics. 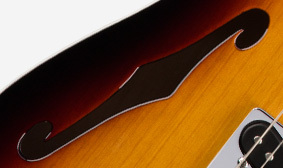 With a little bit of extra 'magic' up its sleeve, this instrument is as flexible as it is distinctly stylish. 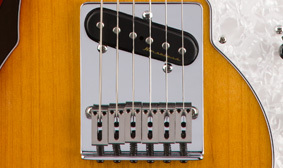 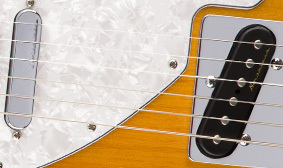 These pickups produce all the brilliant pristine, well-defined tone of vintage single-coil pickups, with no hum. 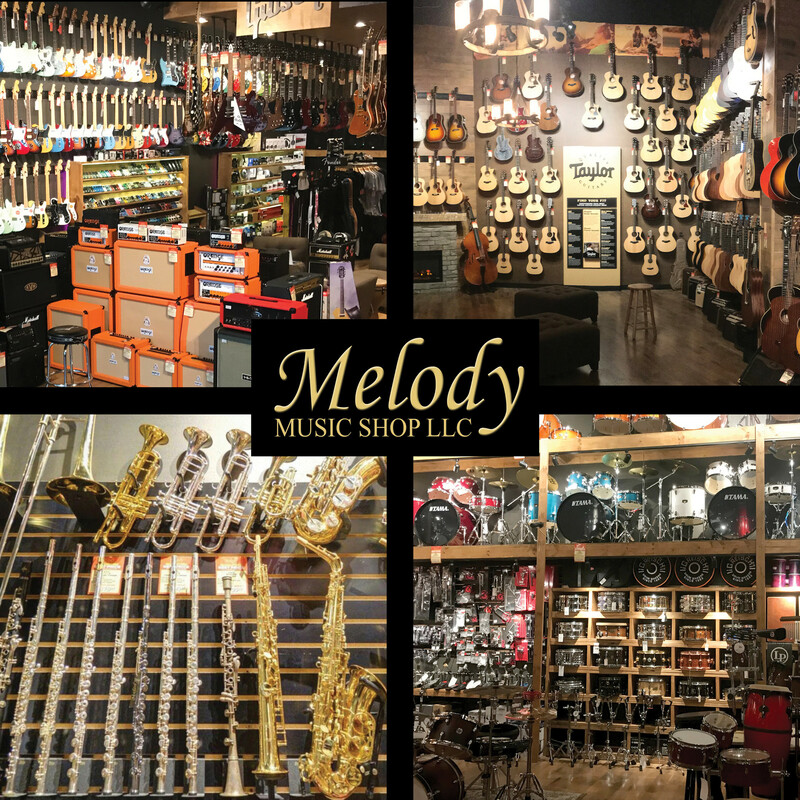 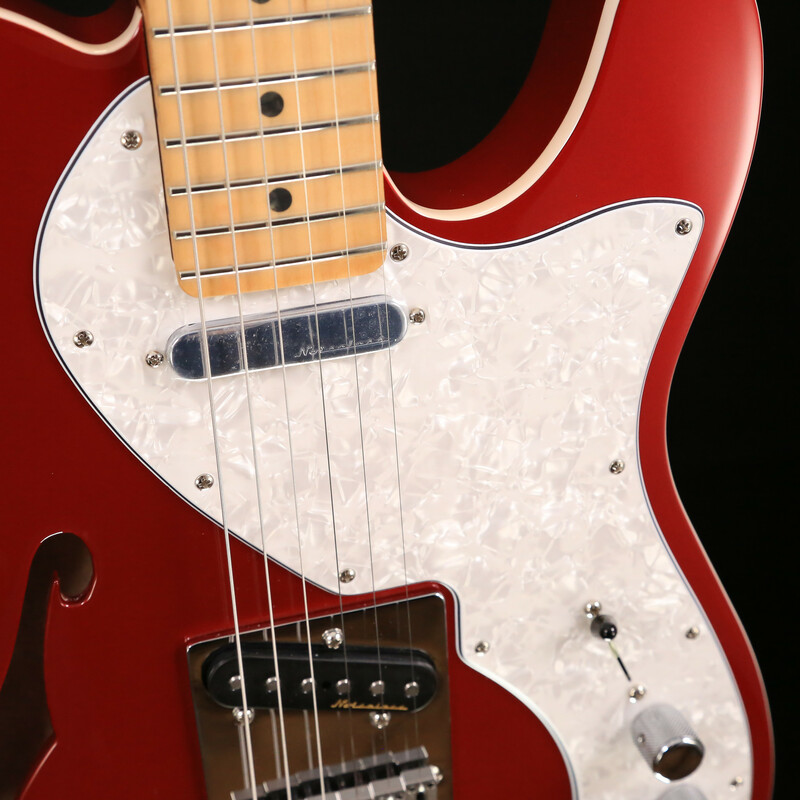 For superior intonation, sustain and ease of adjustment, Deluxe Series guitars feature modern bridges with upgraded features. 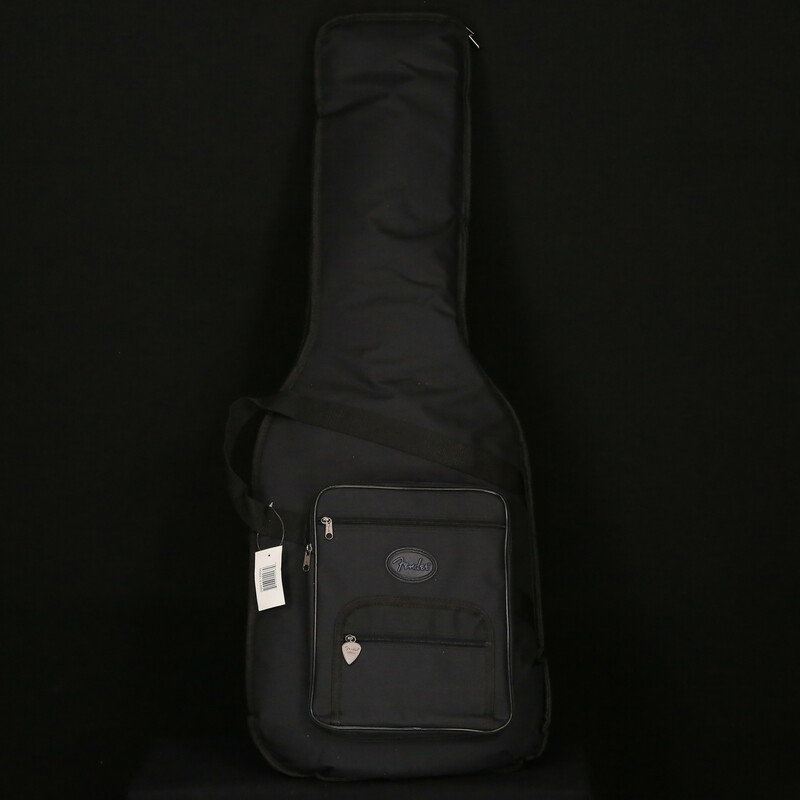 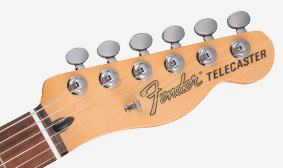 This instrument has a string-through-body bridge with block saddles. 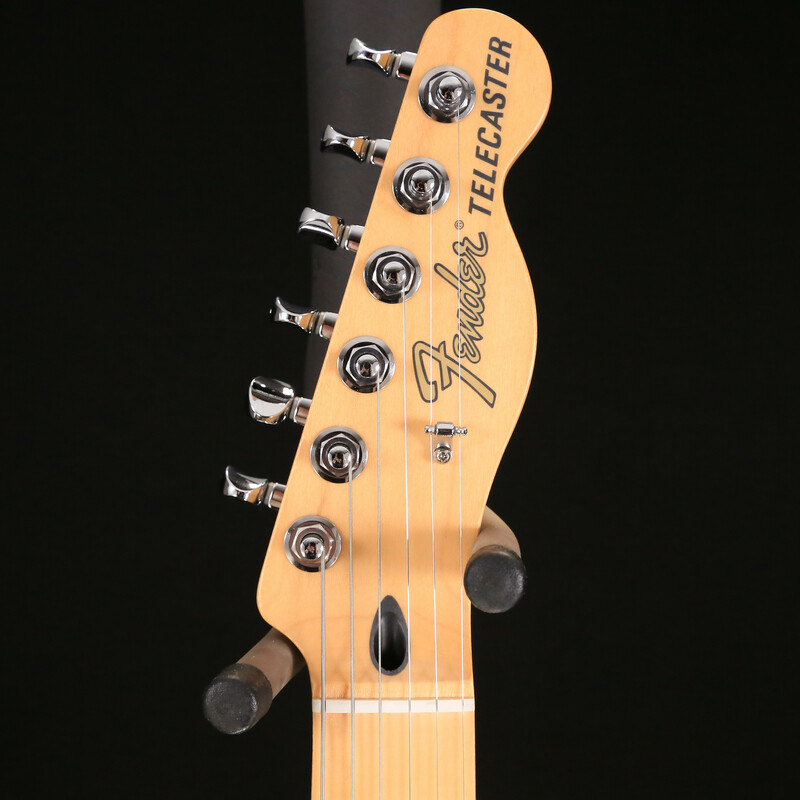 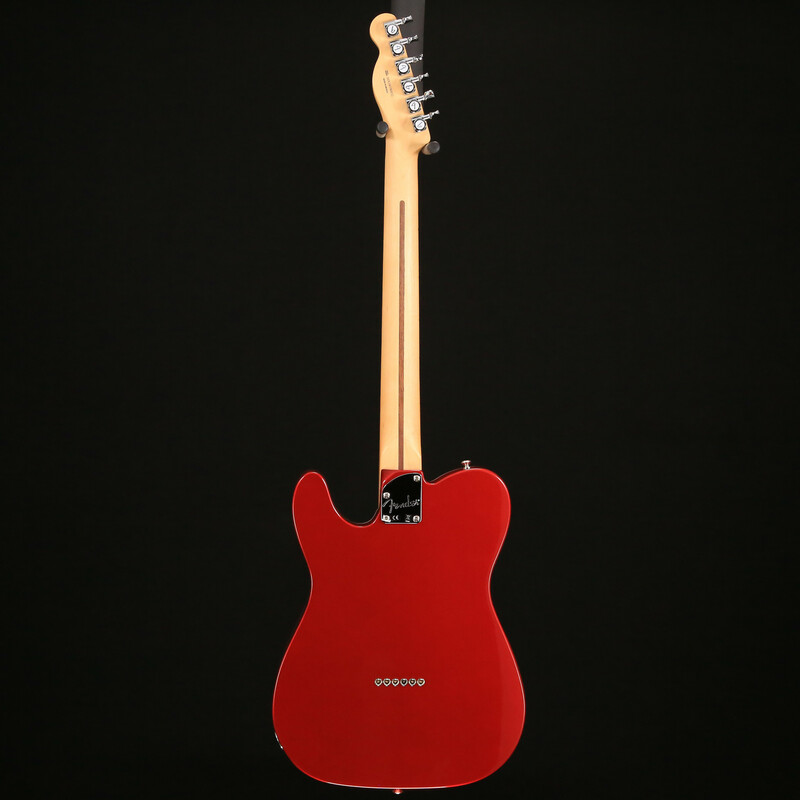 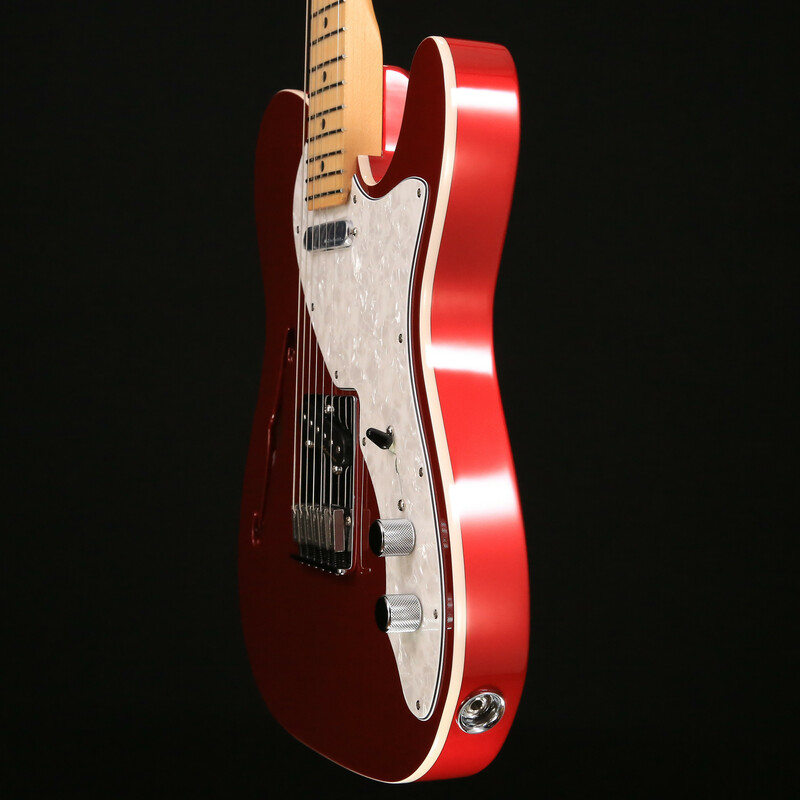 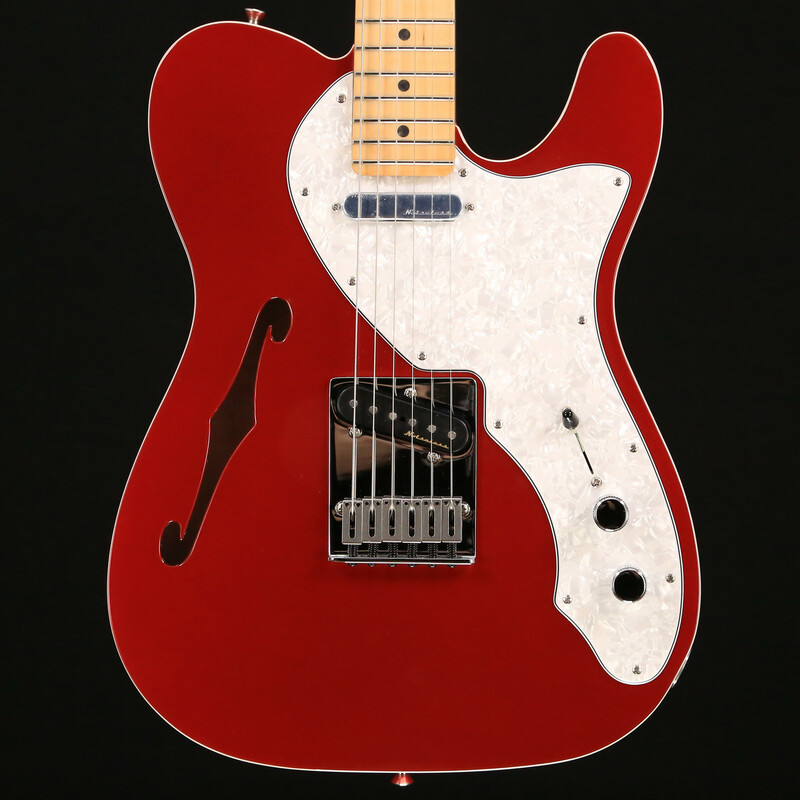 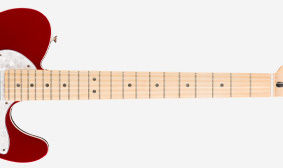 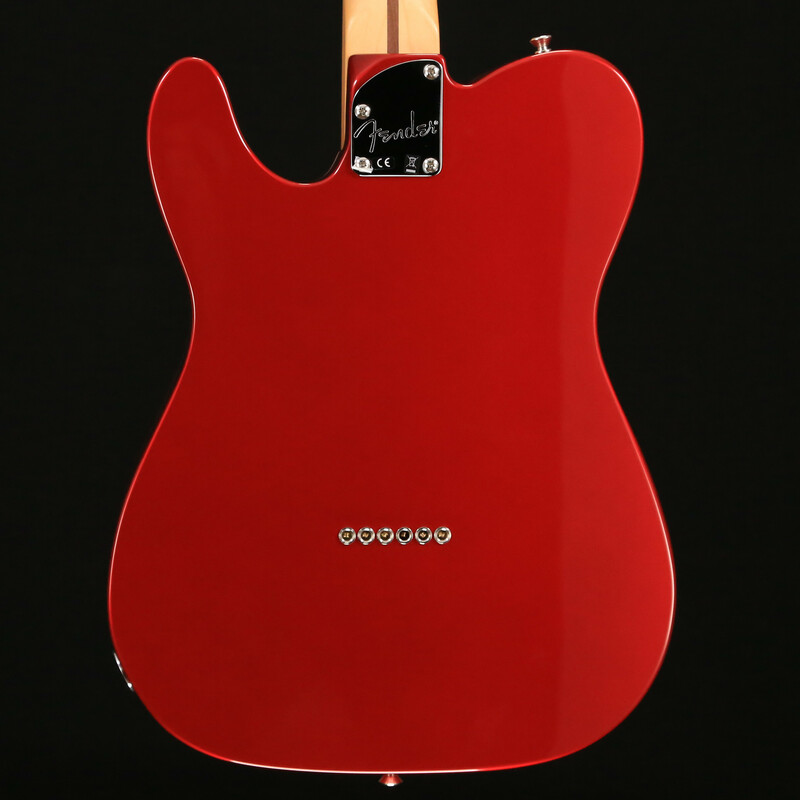 The special four-way pickup switch on this Telecaster Thinline guitar adds a fourth pickup combination—neck and bridge together, in series. 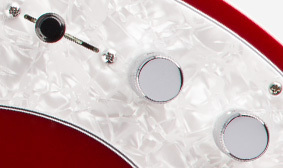 Series wiring sets your tone on fire with hotter output and a slight midrange boost.